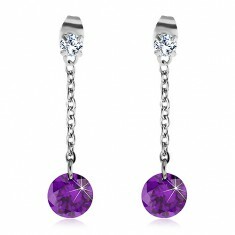 Your favorite product: Earrings made of steel 316L with a big purple zirconia on a chain G24.29 - is added to the wish list. Steel earrings - clear zirkonek and cut dark purple zircon dangling on a thin chain. 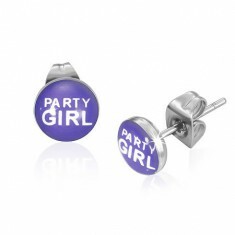 Your favorite product: Made from steel with the words Party Girl, purple R21.15 - is added to the wish list. Puzetové steel earrings in purple color and the inscription. Your favorite product: Steel earrings I WANT YOU R22.1 - is added to the wish list. Puzetové round earrings made of surgical steel with a sign I WANT YOU on a purple background. Your favorite product: Steel earrings gold color, light purple, cubic zirconia, pearl-white marbles S75.06 - is added to the wish list. Earrings made of steel, gold color, mirror shine, a light purple belt inlaid with purple rhinestones and white beads. Your favorite product: Piercing to the belly from surgical steel, silver color, light purple glitters PC01.29 - is added to the wish list. 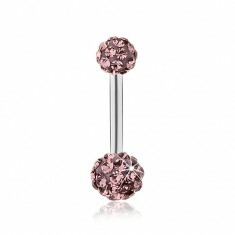 Steel piercing belly button silver color, banana with two shiny balls, one adorned with purple glitter. 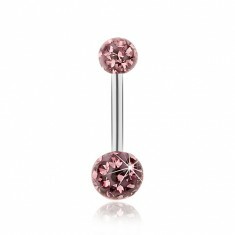 Your favorite product: A steel piercing in her navel, balls of silver color, fuchsia glitter PC01.27 - is added to the wish list. Piercing to the belly of the steel, silver color, banana with shiny beads, fuchsia glitters. 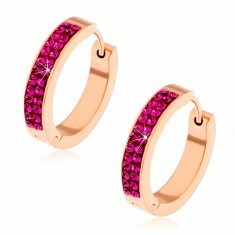 Your favorite product: Circular steel earrings copper color, shimmering fuchsia cubic zirconia S84.17 - is added to the wish list. Earrings made of surgical steel, color copper, shiny strip inlaid with a double line of fuchsiových stones. 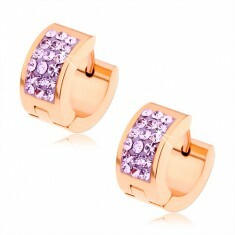 Your favorite product: Circular earrings made of surgical steel, color copper, purple cubic zirconia S85.05 - is added to the wish list. Steel earrings, purple band inlaid with sparkling rhinestones, articulated fastening. Your favorite product: Puzetové earrings from steel silver color, purple zircon heart, 7 mm SP48.14 - is added to the wish list. 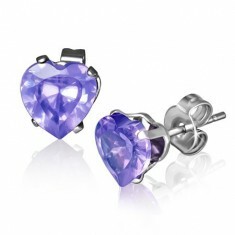 Steel earrings silver color, puzetka, shimmering zirconium heart in the purple shade. 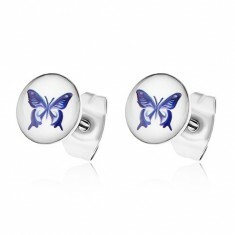 Your favorite product: Earrings made of surgical steel, white background with purple butterfly SP58.27 - is added to the wish list. 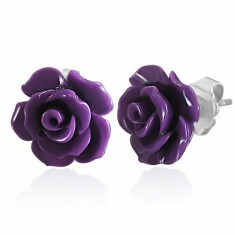 Puzetové earrings made of steel 316L, dark purple bow tie on a white background, covered with clear glaze. 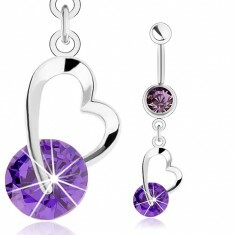 Your favorite product: A steel piercing in belly button ring, purple cubic zirconia, uneven contour of the heart S61.17 - is added to the wish list. Piercing in the belly, steel 316L, round cubic zirconia in ametystovém shade, shiny asymmetric heart with an extended line - contour. Your favorite product: A steel piercing in belly button ring, silver color, purple zircon, contour hearts S62.28 - is added to the wish list. Piercing to the belly, steel 316L, polished cubic zirconia in shades of amethyst color, outline asymmetrical heart with extended lines. Your favorite product: Piercing to the belly of the surgical steel balls decorated with purple cubic zirconia SP27.01 - is added to the wish list. A steel piercing in belly button ring, silver color, a light purple header trimmed zirkonky in the same shade. Your favorite product: Piercing made of steel 316L, light purple shimmering cubic zirconia, transparent glaze SP30.13 - is added to the wish list. Steel piercing belly, banana plug, silver color, light purple balls covered with a transparent glaze, shiny zirkonky.